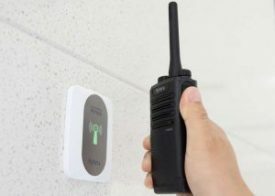 The PD412i DMR portable from Hytera features an embedded RFID reader that provides an ideal application for patrol monitoring and resource management. The PD412i radio reads RFID tag data and automatically transmits the data via the defined timeslot.
. Compliance with Military Standards 810 C, D, E, F and G, including temperature shock, vibration, high and low temperature and humidity. 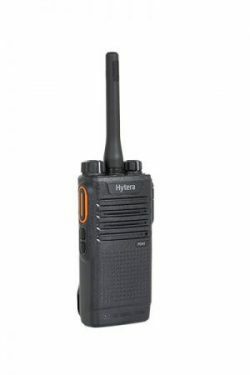 It is also IP54 dust and water-proof design, making it a reliable radio communication solution in different environments.
. Extended Talk Range and Long Working Time. Based on TDMA technology the PD412i can work as long as 22 hours in digital mode with a 2000mAh battery.
. Voice channel annunciation that helps switch channels even in the dark. 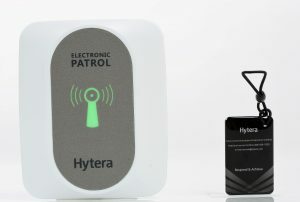 The Hytera Patrol System is a tour guard solution to provide real-time tracking management. It’s composed of PD412i Patrol Radio, Receiving Station, Patrol Checkpoint and Patrol Software. It allows an operator to monitor the real-time tour guard because the patrol data is sent to the receiving station connected to PC (Patrol Software). The system also supports some features including one-touch alarm on radio, patrol data resend, setting patrol plan, data query and data backup.